I am dedicated to the the art of gentle healing through the use of bodywork. I offer bodywork for management of chronic conditions due to disease, injury, and/or trauma, as well as working with all phases of life experience. Telephone: 434-609-3708 Please leave a message. 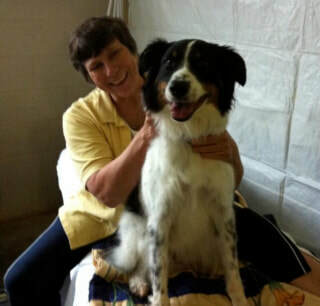 Massage therapist for over twenty years, working with canine athletes and their handlers at agility trials for the past fourteen years, taught in her profession for twelve years.